As we come to the close of 2015, we can look back and review a year that was just plain odd. We spent most of 2015 waiting for the Federal Reserve to raise interest rates. Finally, in December, they pulled the trigger for a quarter percent increase. The market initially cheered this move but has since declined, which is more in-line with expectations. Unfortunately, we also spent the year watching horrifying scenes of terror attacks. This too, impacted the market, especially international markets, which were already in pain. Most international funds have been on a downward trajectory since June of 2014. As the presidential primary started to heat up, the rhetoric and dissension increased as well, which I feel has its own way of creeping into the market and the economy. It’s easy to prematurely prognosticate one direction or the other…and some chose to do this with their money and business decisions. So, while this may have a smaller impact on our economy at the moment, it could become a larger mover of the market and economic environment as we get closer to the election. A permanent extension of the $500,000 §179 limit. An extension for bonus depreciation through 2019. A permanent extension of the general state and local sales tax deduction. A permanent extension of the $250 educator expense deduction. An extension for the exclusion from the cancellation of debt of qualified principal residence indebtedness through 2016. The most important provision for most of you will be the extension of the general state and local sales taxes. This means we get to utilize the sales tax deduction for sales taxes paid (including sales taxes paid on cars), which is important because we live in a state with a high sales tax and no income tax. More good news: Congress also permanently extended this provision…well, at least until they change their mind. We assumed in our tax planning and projections throughout the year that congress would make this move, so your tax projections should not change. 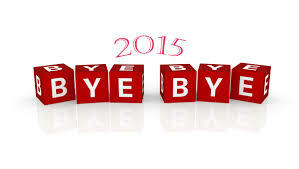 As we wrap up 2015 and move into 2016, we can be assured that more uncertainly lies ahead. Whether it is who will win the presidential election, or market uncertainty, we are sure to see some ups and downs in 2016. The real issue is how we handle the uncertainties we are facing. The most advisable solution is stay disciplined…whether it is a disciplined investing approach or a managed tax strategy, we need to focus on controlling the things we can control. Turn the news off. Spend time with family and friends and keep your eye on what really matters.